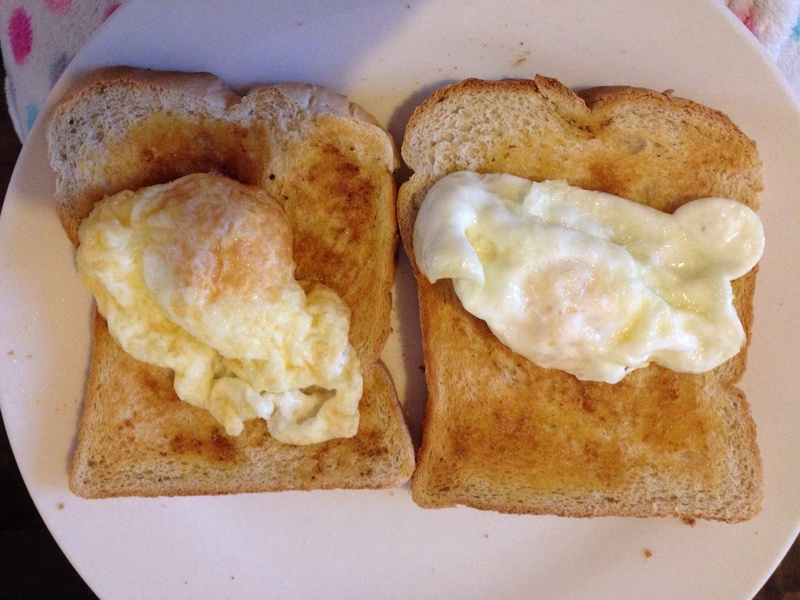 Two fried eggs on Hovis Best of Both Toast. I didn’t finish all the bread, I managed about a slice and a half. I drank a decaf Nespresso with hot soya milk and a cup of Clipper’s Organic Earl Grey tea. 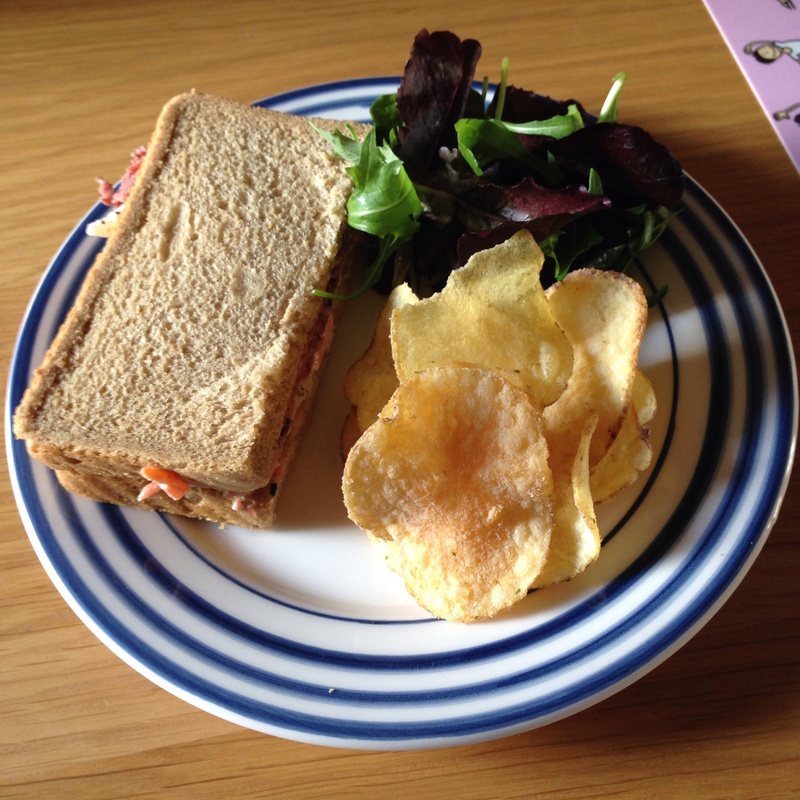 For lunch I had half a Tesco’s Finest Deli Pastrami sandwich with salad leaves and Salt and Vinegar Kettle chips. I only had half a sandwich as I overfilled on Kettle chips and couldn’t manage it all. I also thought the pastrami was a bit too peppery and I’m not a big fan of crushed black peppercorns. 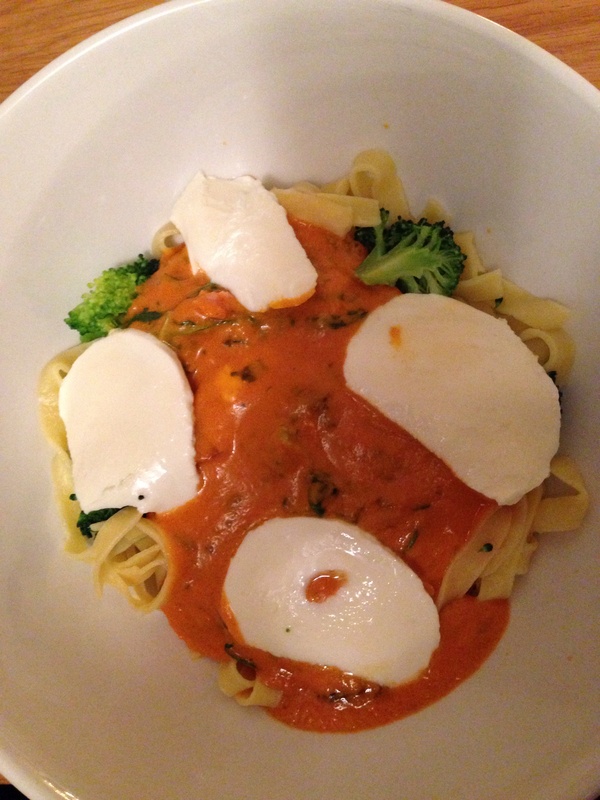 Andy made tagliatelle with mozzarella, tomato and mascarpone sauce, broccoli and rocket. He made a massive bowl enough for two meals so I’ve got leftovers for lunch tomo. 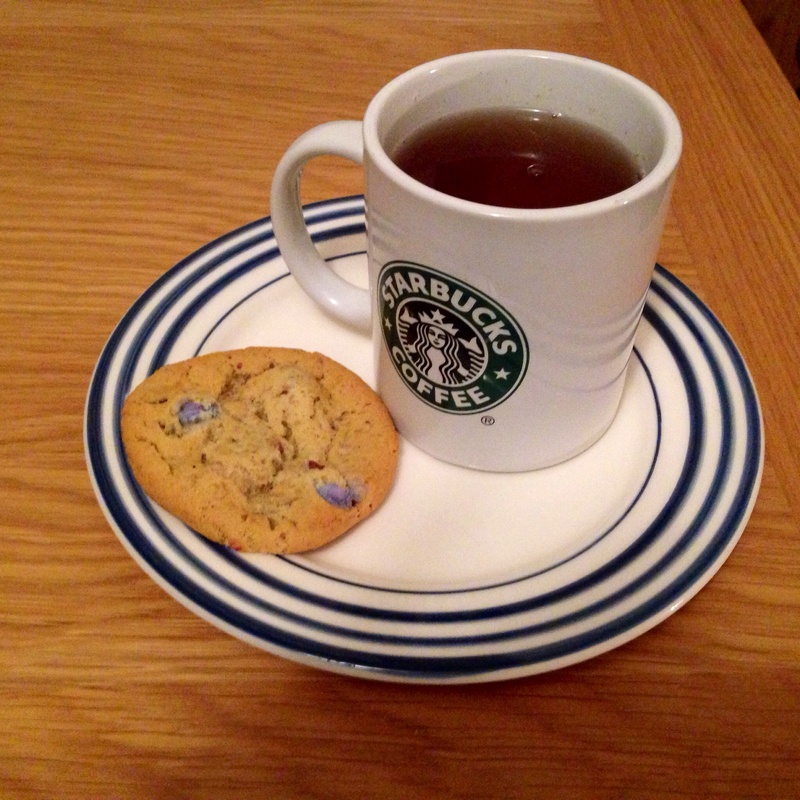 I had a smarties cookie with vanilla and rose Earl Grey tea. I love the orange smarties the best. Yum! What did you have to eat today? 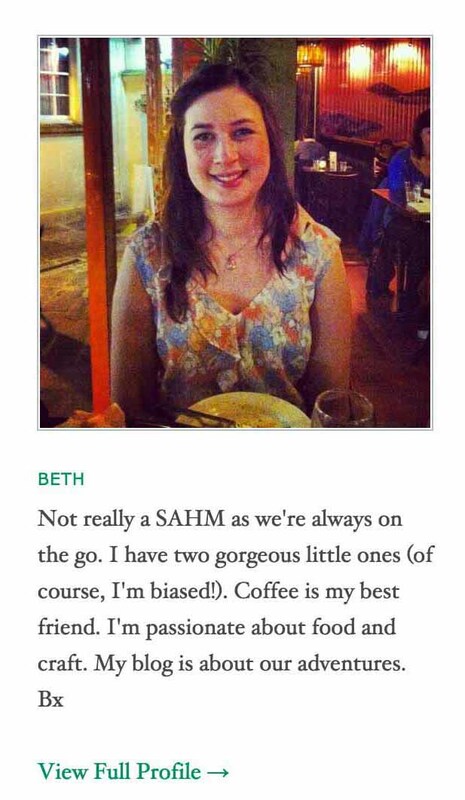 Let me know and click on the link for more of My Monday Meals. Next Post I’ll be back soon! You eat a lot of bread! The eggs on toast looks delish. Do you like your eggs well-cooked or slightly runny? I like a slightly chewy-runny orangy eggy centre 🙂 I like Smarties/M&M cookies too! Sorry, I haven’t replied sooner. Have been feeling under the weather this week and trying to get some R&R. Can’t stop coughing either! Smarties cookies are soo yummy! Oh no, I’m so sorry to hear that you’re under the weather. It must be the change of seasons – winter to spring over at your end. Drink more water and rest up!